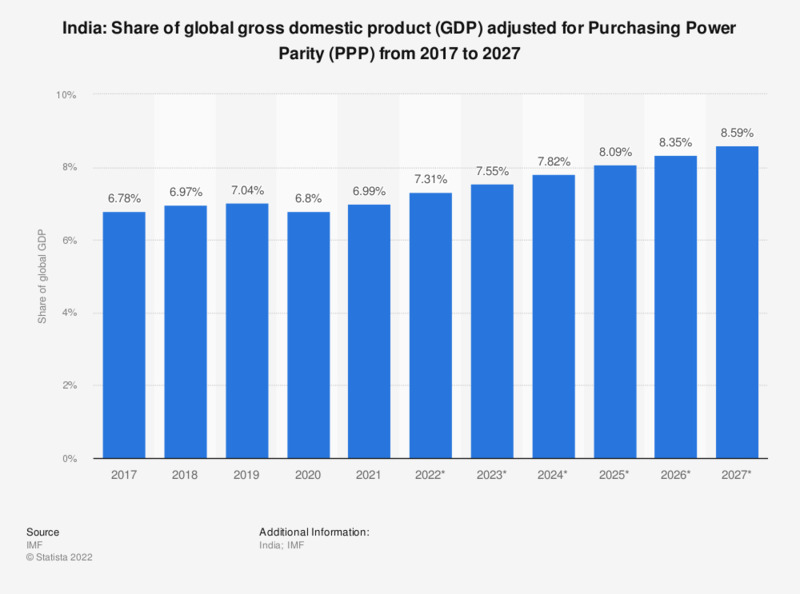 The statistic shows India's share of the global gross domestic product (GDP) adjusted for Purchasing Power Parity (PPP) from 2012 to 2022. In 2018, India's share of global GDP (in relation to PPP dollars) amounted to about 7.69 percent. See GDP of India and India's economic growth for additional information.